Gowri Krishna malayalam actress profile, biography and upcoming movies are given here. Know about Amma serial character Chinnu aks Gowri Krishna's family, parents and their contribution in helping her to chase dreams. Gowri is budding actress who has shown her acting talent in serial and handful of movies. More than making acting as a career, Amritha wishes to become a Charted Accountant. 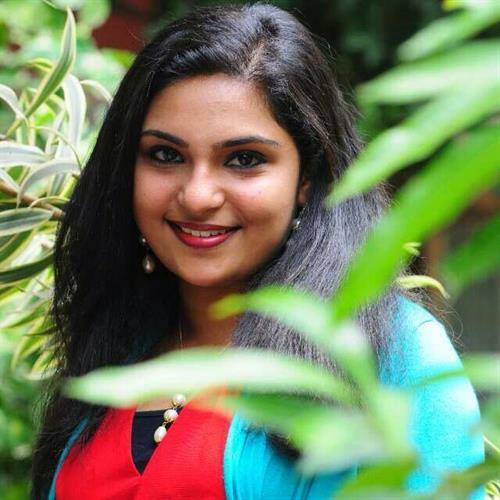 Talented in Oration, dance and monoact, young Amritha is a gifted talent for the malayalam film industry. Gauri Krishna has already become a pet among the malayalam television serial viewers. Apart from acting as Chinnu in the serial 'Amma', Gowri Krishna is a gifted artist who has shown her talent on stage and silver screen. Do you wish to know more about the young actress? Scroll down to read the inside story of Gauri Krishna, her family, parents and their contribution in helping her to chase dreams. Gauri Krishna (Krishna Gayathri) was born as the only daughter of Krishnan Nair and Beena. Her father Krishnan Nair is a builder while her mother serves the family affairs. During her young age, Gauri had showed skill in dance and stage performances. Her parents gave positive support which motivated young Gauri to master various arts. After studying at a private school from 6th to 10th standard, Gauri Krishna found Vattiyoorkavu A R R School as her new nest. Currently she is doing Plus Two Commerce in the school which is situated at Thiruvanthapuram. Gauri who well called as 'Achu' by her parents is their dearest 'Krishna' for her friends. Gauri Krishna, skilled in Oration, Monoact, Ottam Thullal and Skits had won not only claps but a bunch of prizes. Her skill in addressing the gathering was properly used by the school authorities giving her opportunity to perform during special occasions. While in std 8, Gauri performed the act of a mentally retarded person which gave tremendous appreciation from the audience. Gauri is interested to have journey with her parents. During the weekends, she spends the day at home watching television. Gauri finds her mother as the most beloved gift ever given by god. Having an interest to eat a lot of ice creams and chocolates, she cannot avoid Chicken Fried rice from her menu. During the pass time, she has tried her skill in cooking too. Being more ambitious, young Gauri wishes to become a charted accountant while having dreams about her acting career. Being a good orator, Gauri admired late Sukumar Azhikode and his speeches. She keenly observed his presentation style to bring the best in her speech. Gauri Krishna who has acted in three teleserials is much familiar to the TV viewers through their dearest serial 'Amma' which is being telecast in Asianet. The 16-year-old Gouri plays a lonely and abandoned woman in Amma. She has also anchored a programme in Kairali channel. Her acting brilliance on the small screen gave a ticket to the silver screen. She played a bold nurse and wife of National award winner Suraj Venjaramoodu in 'Garbhasreeman'. Even though the movie was a debacle at the box office, her performance was well noted. A bright future is waiting for the young actress who would better her career in the coming years.